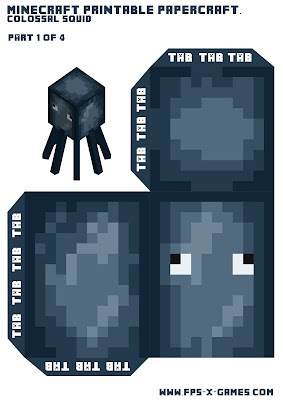 Try creating your own large Minecraft colossal squid with this printable papercraft template. Left click templates to bring up full sized image, right click and (save as). 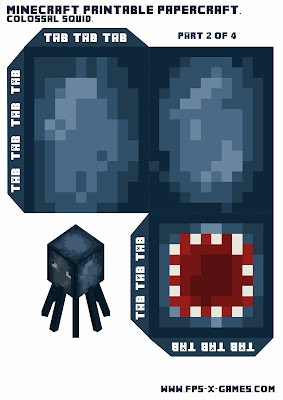 Print the Minecraft squid templates out using quality card or photo paper. 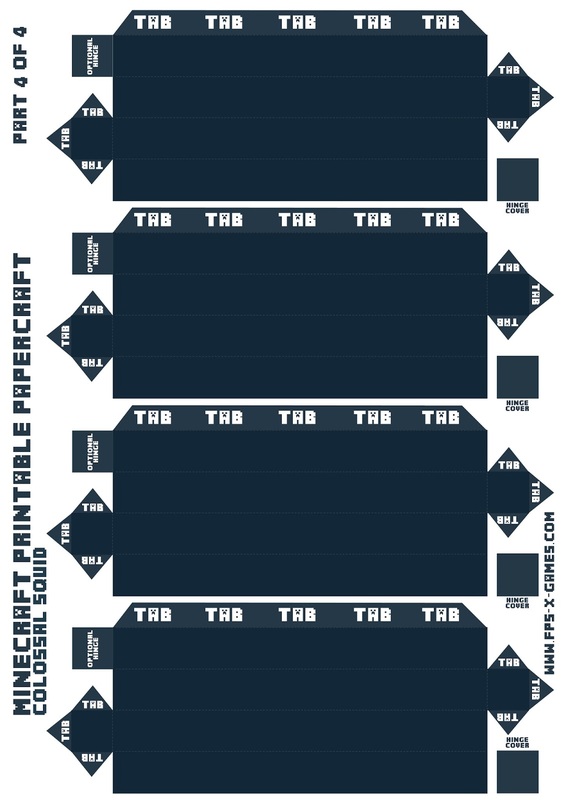 Take your time and cut the templates out, fold and glue.